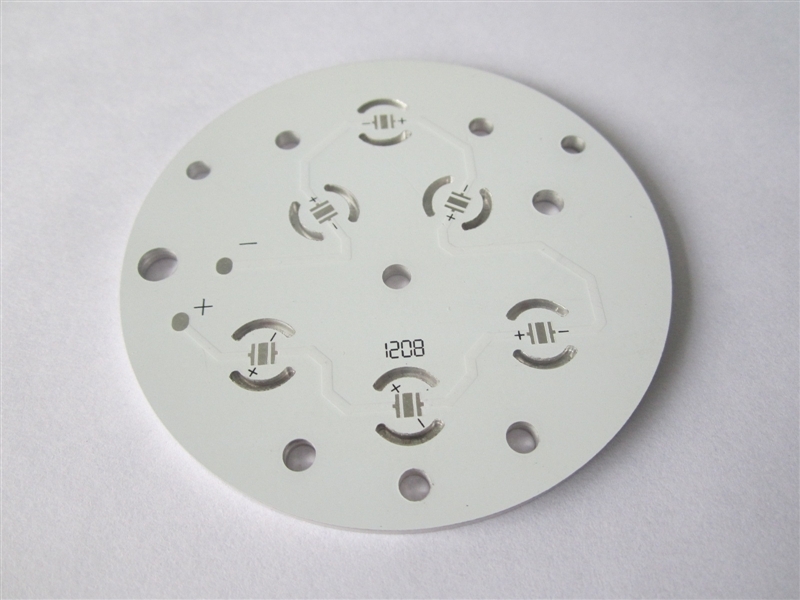 For the standard PCB service, Fusion provides 3 options; FR-4 TG130, Aluminium and Flexible PCB materials. For most purposes, FR-4 TG130 is more than sufficient. If you are not sure which material you need, then FR-4 is most likely sufficient. FR-4 refers to a grade of epoxy fiberglass material where the FR stands for "flame retarding". The TG130 refers to the glass transition temperature and indicates that this material will begin to deform at 130 ℃. FR-4 is the most common substrate material for rigid PCBs, particularly prototypes. In the PCB, the pre-preg and core will be made of this material. FR-4 materials with higher glass transition temperatures are available in the Advanced PCB service. High TG FR-4 (TG170) boards can withstand deformation at higher temperatures of up to 170 ℃ and are suitable for extreme temperature applications. Aluminium boards are widely used in LED arrays and power converters due to good thermal dissipation properties of aluminium compared to FR-4. A thermally conductive but electrically insulating dielectric material is laminated between the copper and aluminium layers, and the exposed aluminium side helps to radiate the heat from the circuit. 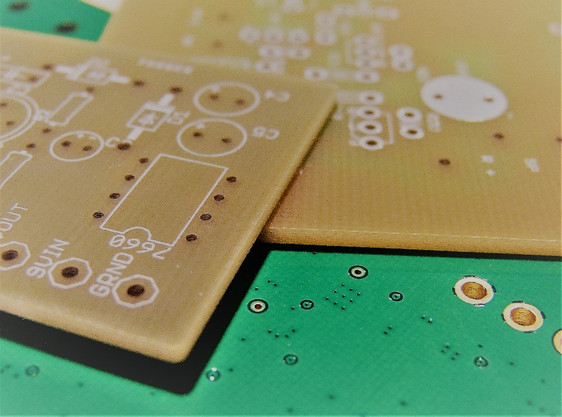 Such single layer PCBs are available in the standard PCB service but multilayer aluminium PCBs are also available in Fusion's Advanced service. However, the price escalates rapidly when increasing the number of layers and the boards cannot dissipate heat as well, so we recommend you try to reduce the number of layers as much as possible. Flexible printed circuits, as the name suggests, are flexible alternatives to rigid PCBs that allow for greater freedom of movement and bendiness. Consisting of copper traces combined onto a thin dielectric material, flexible printed circuits can conserve space and be bent to fit into tight spaces and are suitable for applications involving vibrations or a certain degree of movement (e.g. connectors). Flexible printed circuits up to two layers are available in the standard service. If you need four layers or rigid-flex boards, you can try the advanced service.